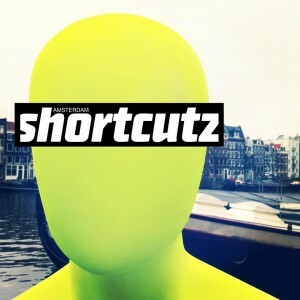 Tonight, Canvas will host the very first Amsterdam-based edition of Shortcutz, a new weekly event that showcases short films. Shortcutz started out in Lisbon and travelled around Europe organizing events in London, Barcelona, Berlin and Madrid. The idea of Shortcutz is to provide a stage for national short-filmmakers and to give the audience sneak peeks into their newest projects. The setting of Shortcutz gives amateur en professional directors the opportunity to enable close interaction with the audience. It’s a year-round event, showing three different short films every week, followed by Q&A with the creators (and sometimes actors) of the films. Shortcutz Amsterdam Ambassador – Waldemar Torenstra from Shortcutz Amsterdam on Vimeo. Young filmmakers can participate by sending in their films, as long as they are less than one year old and less than 15 minutes in length. Two of the three films will compete to become short film of the month, which will later compete for film of the year and the chance to send a team member to present their film at festivals around the world. And last but not least, the director will be awarded a €5000 contribution for a new film. To welcome this project to Amsterdam, Shortcutz will launch tonight with a VJ and music programme. The short film that will be on tonight is starred by our own homeland hottie Waldemar Torrenstra. Come check out what our compatriot directors are up to, and discover the fascinating world of Shortcutz.